We here at GSNN have been discussing for sometime what would happen if The World Series of Poker had the last day of the Main Event televised live on Pay Per View. The good news is that the day finally happened. The bad news is that if you are a person that just knew that the main event was there, you had no prayer of finding it. I, for example, was one of said people. Sure, I was following it to the point that I knew when the event was, and I was following it to the extent that I knew when the Pay-Per-View was, but I just assumed that you could order it that day off the television. Wrong. Jason Block helped me figure out that you needed to call a 1-800 number, and even at that point, you had to get it in within the first 2 hours of the broadcast. That seemed not only silly, but a way to lose money, because the finals, as most poker players know, will last easily in excess of 6 or 7 hours. I think it's a great idea to do something like this. However, if you are going to make this a Pay-Per-View spectacular, you're not going to want to stick this on a Thursday. Make it an all day affair, like a Superbowl Sunday. You can call is WSOP Saturday, start it at 9 am PT (Noon ET), and make it an annual event. The price point of $25 was a very fair price. You could probably even raise it to $50 and get away with it. If this was labeled as an extravaganza, them you can get away with it. Sure, this event makes gobs of money for Harrah's, but if they are smart, next year, they can not only market this to make even more gobs of money, but they could create another American tradition that could rival or even exceed the Super Bowl. 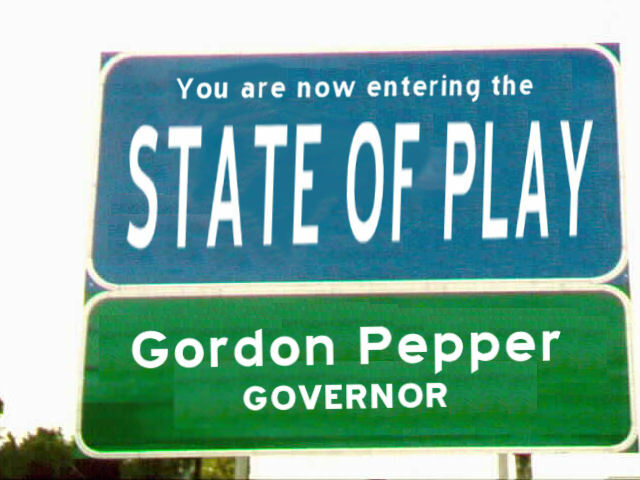 With all the things that Gordon Pepper has done in his life, he's never once planned out a Super Bowl party. E-mail Gordon at gordon@gameshownewsnet.com.